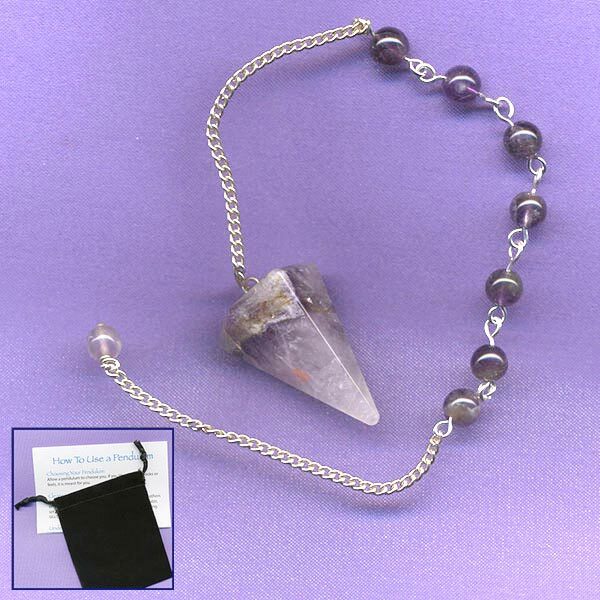 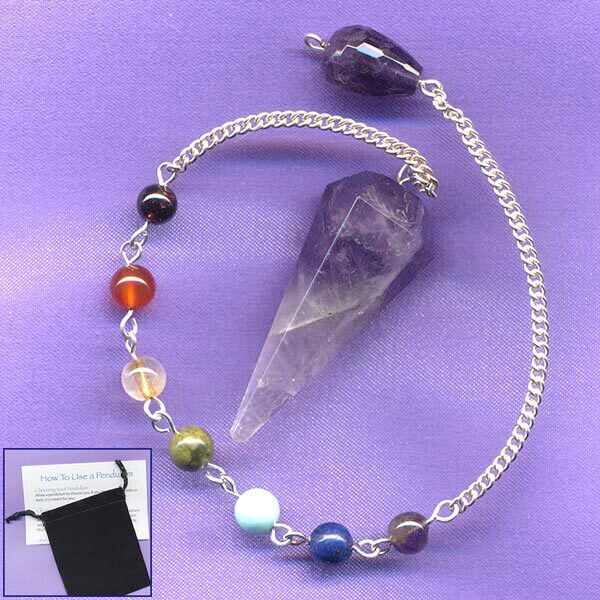 Faceted Amethyst Pendulum with seven Chakra Gemstone Beads and faceted, tear drop Amethyst End Bead. 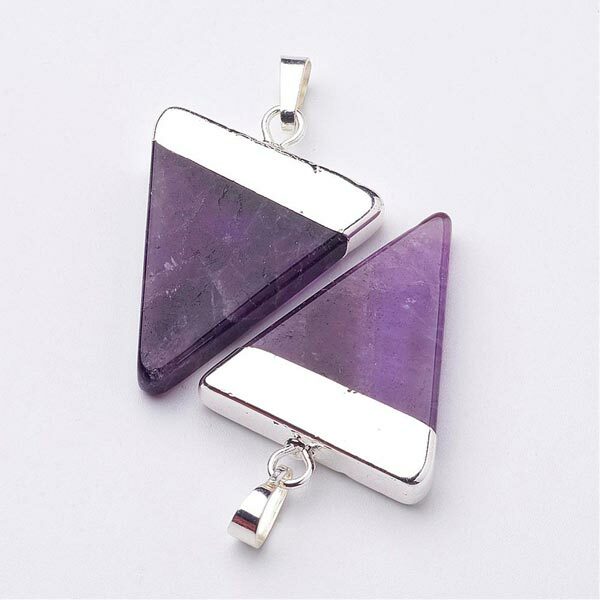 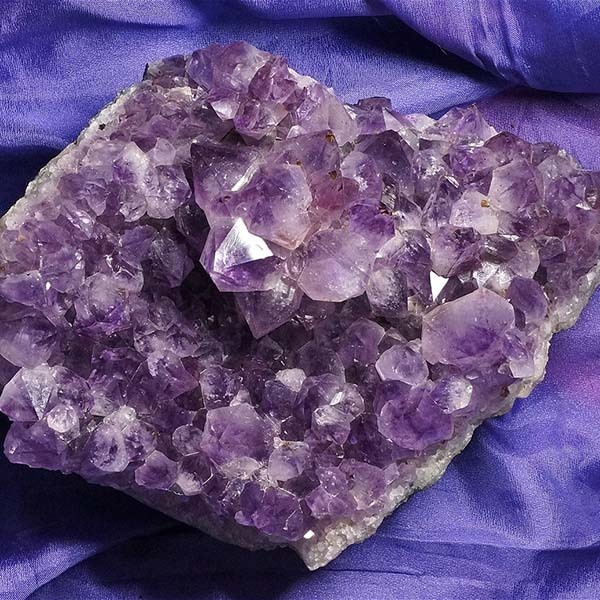 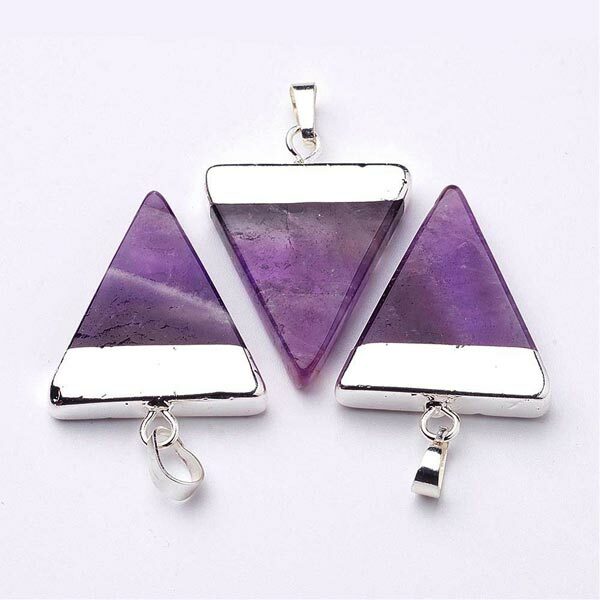 Healing Amethyst gemstones nicely tumbled and polished with a lustrous sheen. 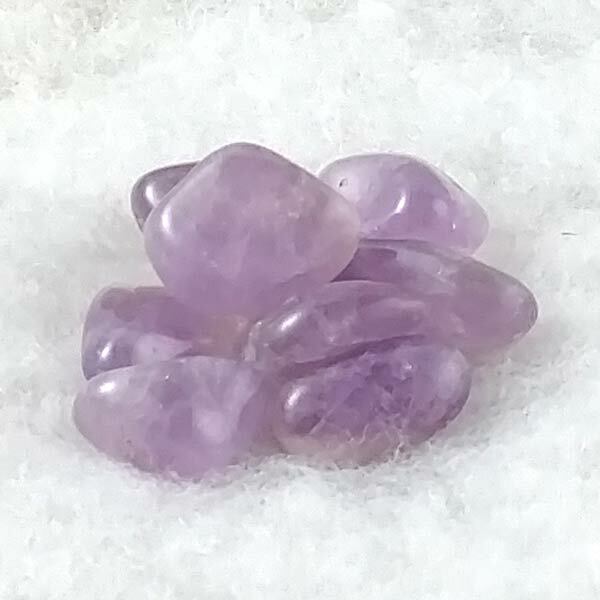 These Amethyst are at least 1" in size.